Babies are at greater risk of injury in crashes. This is because babies' spines are developing and their heads are large for their bodies. In a crash, if your child is riding forward-facing, her spinal cord may stretch, which could result in serious injury or death. However, when your baby rides rear-facing in a child safety seat, her upper body — head, neck, and spine — is cradled by the back of the child safety seat in the case of a frontal crash, which is the most common type of crash. When used right, child seats and booster seats reduce the chance of children being hurt and/or killed in a crash. However, most car seats are not installed properly. The Ministry of Transportation of Ontario recently found out that as many as 80% of car seats are improperly installed. How do you know that your child safety seat is installed correctly? Newborn babies and infants need special protection while in a vehicle. A rear-facing seat protects your baby’s head, neck, and soft bones. Keep your baby this way until after he is one year old. Your baby may ﬁt into some rear-facing seats until he is 18 kg (40 lbs.) The harness should: • be at or slightly below your baby’s shoulder • be one ﬁnger tight at the collarbone • have the chest clip at armpit level • lay ﬂat and snug. The seat should: • be at a 45º angle • move less than 2.5 cm (1 in) side-to-side where the belt or UAS (LATCH) is attached to the vehicle. Remember: Always follow the vehicle owner's manual and the child car seat manufacturer's instructions for correct installation and use of the child safety seat. 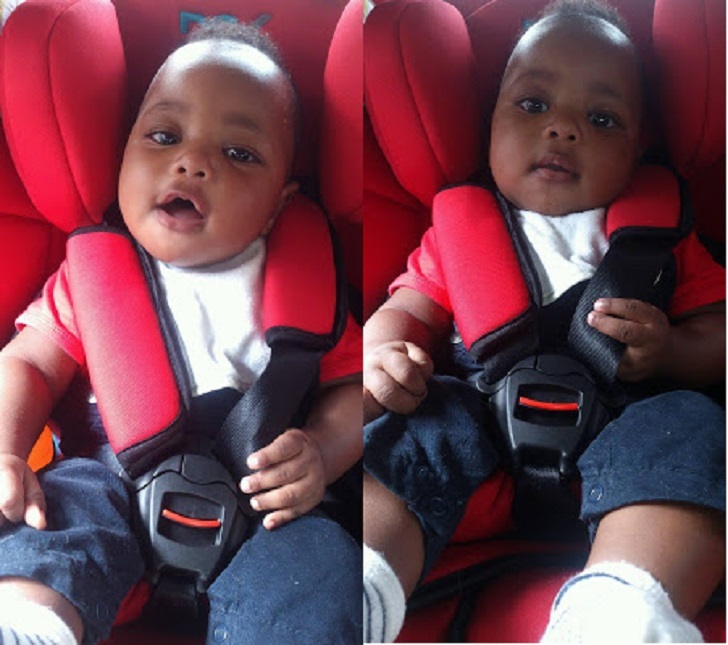 What is the safest seat for your child? The Ministry does not recommend particular brands of child car seats. All child car seats manufactured for sale in various countries of the world must have an individual Country Motor Vehicle Safety Standard (CMVSS) label or statement of compliance on the seat. Child car seats without this label or compliance statement do not meet CMVSS requirements. Car seats made for the U.S. market have different compliance requirements. The Perth DistrictHealth Unit strongly recommends that you purchase and install your infant’s safety seat by your sixth month of pregnancy. The safest place for your child's car seat in the back seat, away from active airbags. A car seat is designed to protect your child during travel. It's not for use as a replacement crib in your home. Before you install a car seat, read the manufacturer's instructions and the section on car seats in the vehicle's owner’s manual. In the rear-facing position, recline the car seat according to the manufacturer's instructions so that your child's head doesn't flop forward. Resist the urge to place your child's car seat in the forward-facing position just so that you can see his or her smile in your rear-view mirror. Older children need booster seats to help an adult safety belt fit correctly. You can switch from a car seat to a booster seat when your child has topped the highest weight — typically 40 to 80 pounds (18 to 36 kilograms) — or height allowed by the car seat manufacturer. Most kids can safely use an adult seat belt sometime between ages 8 and 12.